REUTERS/Charles PlatiauFrench economist and academic Thomas Piketty. 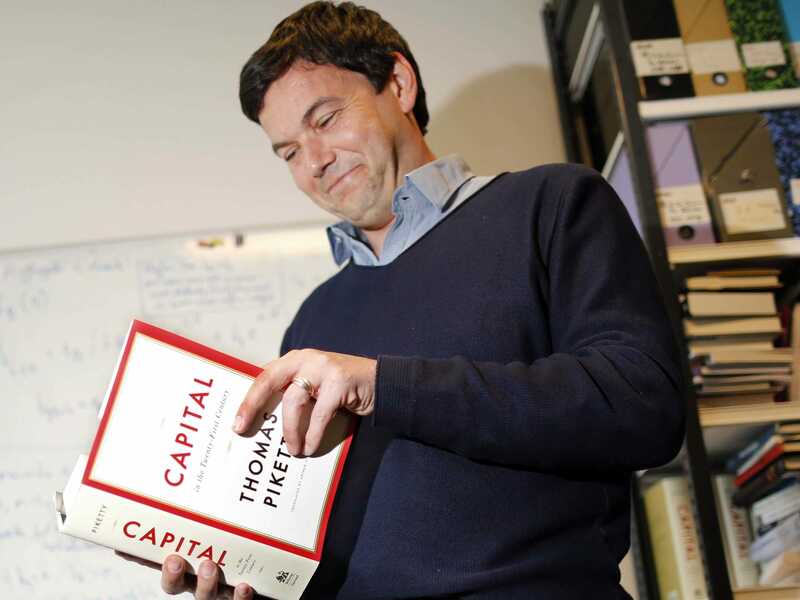 Thomas Piketty’s “Capital in the Twenty-First Century” has been named the Financial Times and McKinsey’s 2014 Business Book of the Year. Piketty’s 700-page book, which was published in the spring, made headlines and became a surprise bestseller. The book argues, basically, that income inequality has been growing and will continue to grow due to the nature of the capitalist economic system in place in the West. The book’s famous formula arguing this point is r > g, or that that return on capital is greater than growth, is causing this growing inequality. The irony of Piketty’s award, however, is that the Financial Times in May published a series of articles that found errors with the data Piketty used to back up his claim that income inequality is rising. But it’s hard to deny a book on economics that runs 700-pages and was at one point sold out on Amazon remains a major event.